Paul Randwas an American Graphic Designer and Art Director, best known for his logo designs for top brands like UPS, IBM, Morningstar Inc., Enron, ABC, Westinghouse, NeXT and many more. In fact, he was one of the first American designers to recognize and follow the Swiss Style of visual design. 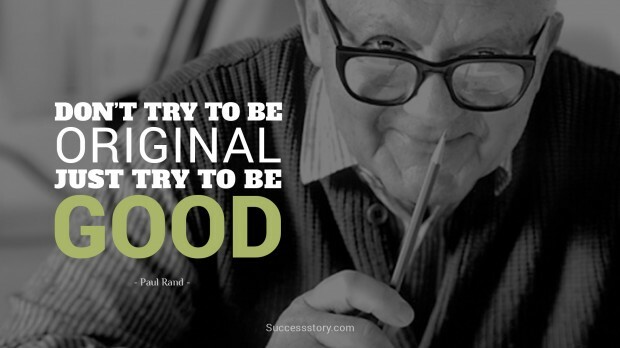 "Don't try to be original. Just try to be good."